They were referring to a growing body of evidence that has linked serious gum disease, also known as periodontitis, to a number of "systemic diseases that afflict the body. 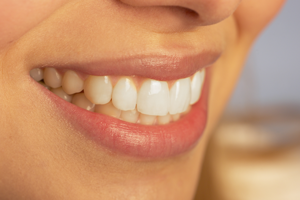 We still do not understand the exact nature of the connection, but studies emphasize that the benefits of having a healthy mouth go far beyond personal appearance and no cavities. In 2004, Time Magazine ran a cover story entitled "The Secret Killer”. It addressed the "surprising link between inflammation and heart attacks, cancer, Alzheimers, and other diseases, and what we can do to fight it." We are pleased that the media had finally awakened to a problem that we have already identified and begun to aggressively treat. In addition to using floss and other personal oral hygiene products we also use lasers to kill the bacteria associated with gum disease, inflammation and infection. Your gums often bleed during a cleaning, because their tissues may get inflamed because of plaque and tarter buildup. Any bacteria within the mouth can then easily enter the bloodstream and from there, go anywhere in the body, including weakened or immune-compromised areas, such as a damaged heart valve or an artificial joint such as a hip or knee. If you have one bacterial infection in your mouth, we don’t want it to spread to another area in the mouth. Decontamination through our Laser Bacterial Reduction is how we prevent or minimize the spread of bacteria. When compromised by inflammation, the gum tissue that surrounds the teeth is a vast portal of entry for microbes. Even inhaling bacteria that inhabit periodontal pockets has the potential to trigger infection. Gum disease and tooth loss are related to deterioration of bone mass and can disrupt disease management. Dr. Scianni uses lasers to attack periodontal inflammation at the microscopic level of infection. The power of its focused light destroys otherwise inaccessible bacterial colonies while simultaneously creating an ideal environment for healing. Today, our practice offers our patients oral health care in ways that were science fiction only a few years ago.